The Daniella Bar personalised necklace is a stylishly simple design with a perfect polished finish in sterling silver just waiting to have your name carved into it in a classic font. 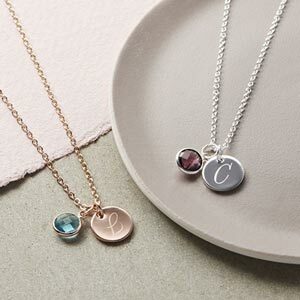 This personalised necklace has a delicate trace chain featuring a single mini bar on which you can engrave up to 10 characters in a classic font. 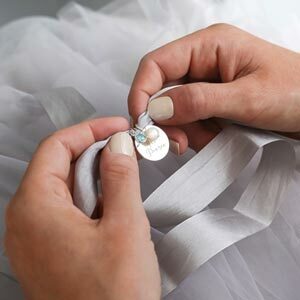 It's contemporary design provides the perfect platform to carry a name of your own or someone special to you and with the addition of a Swarovski Crystal Birthstone charm, you can really make it meaningful. Extremely small but I am wearing it. Well I did buy it! Purchased as a gift. Very pretty and delicate. Chain is slightly thin so hoping it lasts but overall a very nice present. Beautiful gift and loved by all that saw it! Sentiment is just right! 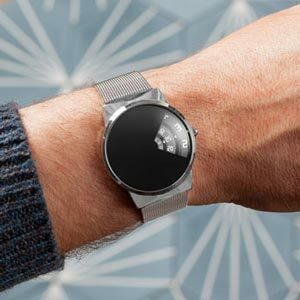 Disappointed that it tarnished after a few wears Thank you for your feedback and we’re sorry to hear that you’re not totally happy with your purchase. We strive to provide items of the highest quality and we are sorry that you feel this has not been achieved on this occasion. We have taken your comments on board and are looking at ways to... Read More. Thank you for your feedback and we’re sorry to hear that you’re not totally happy with your purchase. We strive to provide items of the highest quality and we are sorry that you feel this has not been achieved on this occasion. We have taken your comments on board and are looking at ways to improve our service. Again not as big as expected. For a 21st birthday present, hope she will like it.